The design and implementation of an ERP involves capturing the information necessary for implementing a system that supports integrated enterprise management, starting at the enterprise modeling level and finishing at the coding level. Unfortunately, in both academic and industrial communities, large quantities of papers focus on ERP deployment management, keeping specific development issues aside most of times. 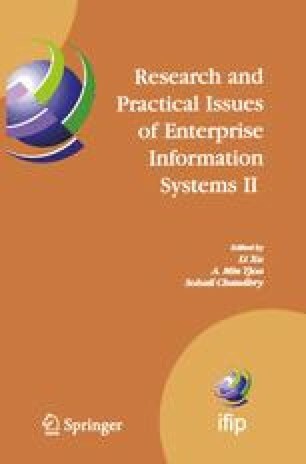 Research on specific techniques for developing ERP software - open source or proprietary, is rather deficient. This paper aims to help filling this gap by presenting a development process for the open source ERP5 system, highlighting the Quality Assurance (QA) techniques used, and the tools that support it. The proposed process covers the different abstraction layers involved, and supplies customized Enterprise, Requirements, Analysis, Design, and Implementation workflows. Each of these workflows is accompanied by one or more QA activities to assure the quality of every modeling and implementation artifact delivered.